In order to obtain and keep a commercial driver’s license, the Department of Transportation requires every CDL driver to receive a DOT physical every two years. These physicals must be conducted by an approved medical examiner at an approved DOT medical examiner location. In order to find an approved DOT medical examiner location, drivers and carriers can visit the U.S. Department of Transportation’s online National Registry of Certified Medical Examiners and search examiners by location. The website allows you to search by City and State, or Zip Code, and once you input your location information you can narrow your search results by entering the examiner’s name, registry ID number, business name, and more. This tool makes it easy for carriers and drivers to find approved DOT medical examiner locations throughout the United States. If you are a driver or carrier in North Carolina or Arizona, there is an even easier way to find a DOT approved medical examiner location near you. Simply visit FastMed.com to find a location near you. 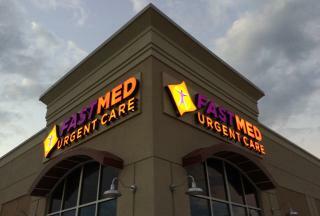 FastMed has numerous locations throughout North Carolina and Arizona, and each of locations offers DOT physical exams from a DOT approved examiner. FastMed is trained and certified in FMCSA standards, and we offer exams for as low as $85. FastMed is open 365 days a year, making it easy for you to get your DOT physical at a time that fits your busy schedule. Our on-site labs provide fast turnaround time for tests, and our highly skilled medical examiners will work to have you in and out as quickly as possible. Ready to visit FastMed? Call our toll-free number 855-2FASTMED or schedule a ZipPass check-in today!